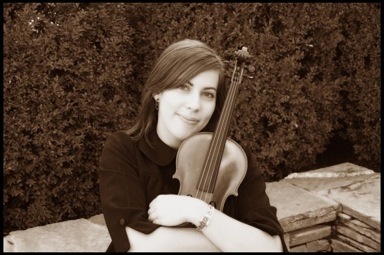 Megan Zabriskie Watson comes from a musical family and began studying violin and piano at the age of four. She received her Bachelor of Music in Violin Performance from Brigham Young University in Provo, Utah and a Master of Arts in Music at Columbia University-Teachers College in New York City. She is experienced in chamber music, solo, and orchestral performance. Megan's passion is teaching! She has 28 years of experience with the Suzuki method and has 18 years of teaching experience. Music is fun and enriching, and everyone can benefit from learning it! Click here to learn more about Violin Lessons. Along with teaching, Megan also loves performing, and enjoys sharing her talents with others. Click here to learn more about Special Event Music.